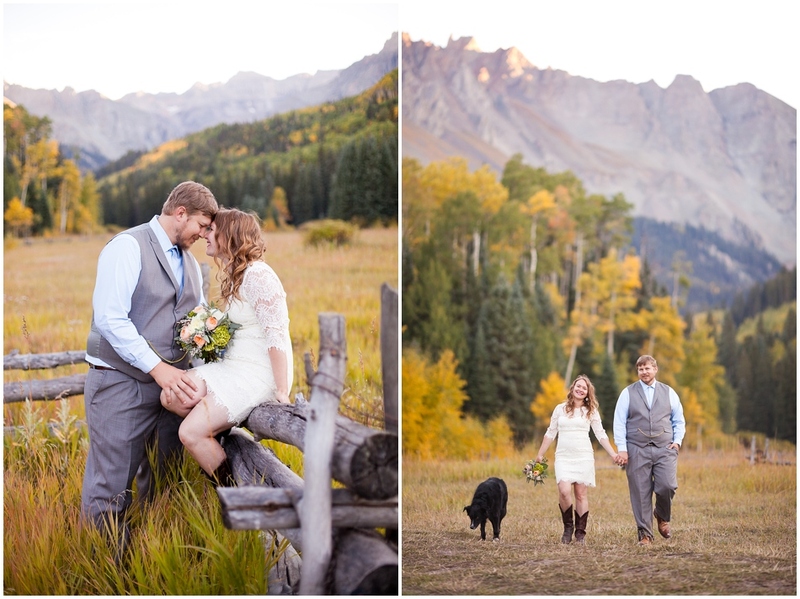 Well, the snowflakes flew here in Colorado this week, so before fall turns to full blown winter, I thought I would sneak in this sweet and intimate autumn wedding from last month. Jackie and Ryan were so kind, warm, and wonderful. 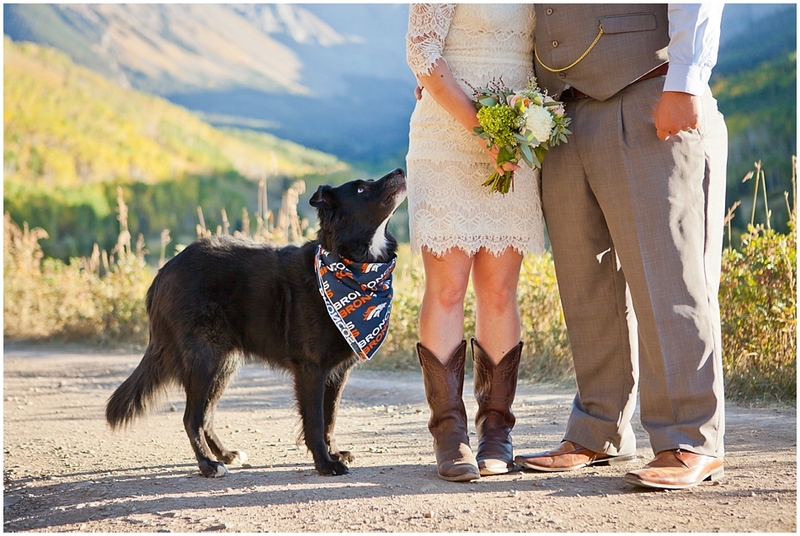 They opted for a simple and sweet exchanging of vows and rings up in the mountains with their pup as their witness. 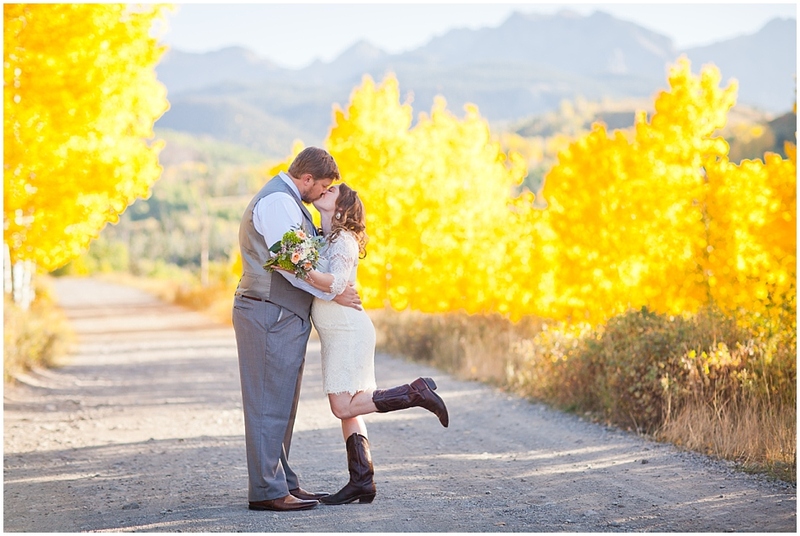 It was a gorgeous day for photos, and we soaked up the sunshine and brilliant fall colors. 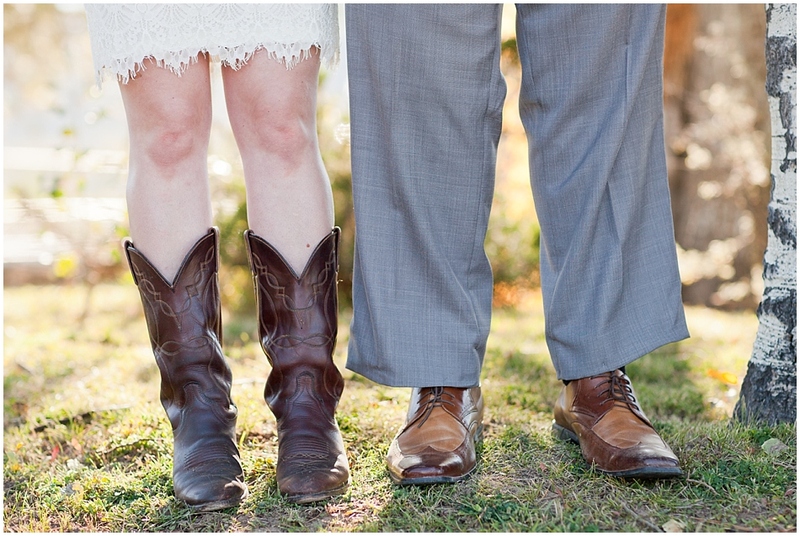 I love that no matter what type of wedding, the love and commitment to one another are the most important part of the wedding day. I'm so grateful I had the chance to be a part of their special day and capture memories that I hope they will cherish for a lifetime.